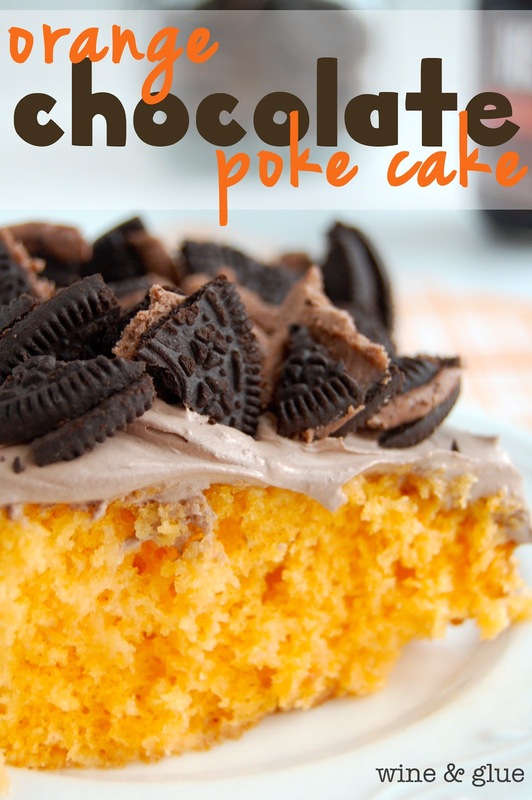 Orange Chocolate Poke Cake | The delicious combination of orange and chocolate in an easy poke cake! So do you remember back in 2009 when Facebook was a relatively new thing? Okay, maybe it was just new to me. Did you want to read mine?? Did you want to read them with my comentary interspersed in there? 2. December 21st, 2007 was hands down the most monumental day of my life. At 2:11 p.m. my son, Gavin, was born and at 8:54 p.m. my mom passed away. 7. I’m blessed to have many great friends who love me in spite of #6. 8. I have been to India three times and I can’t wait to go back. Some of the most peaceful and wonderful moments of my life have taken place there. 9. I love music. I love making mix CD’s and I love uploading iPods. Give me yours, I’ll make you some good playlists. 13. Making Gavin laugh is one of my favorite past times and I will go to great lengths to make it happen. Thank God I have a child who is as weird and silly as his parents. 14. Despite being very short, I wear a size 9 shoe. I feel like I have ski feet. 15. I hate winter, but I love Christmas and I think it would be really weird to live in a place that didn’t have snow at Christmastime. 17. I wish I could go to the movies every weekend, and I did before being a mom. 19. I both love to travel and I am a huge home body. 20. When I got married, rather than giving up my middle name or my maiden name I smashed my first and middle together and moved my maiden to my middle. I get called “Lisa Marie” more often than I enjoy. 25. I believe that people are basically good, and I tend to feel very sad for those who think otherwise. 26. I’m probably a narcissist. 27. I have developed enough friendships with food bloggers that I now wake up dreaming about food. Especially desserts. This is one of those. Make the cake batter according to the directions, and preheat the oven as directed. 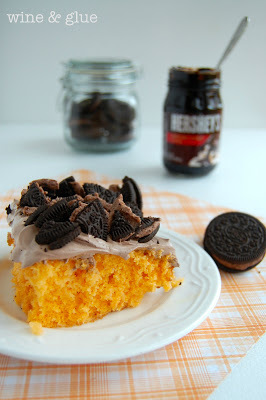 Add the orange flavoring packet to the cake batter, and stir until completely combined. Bake the cake as directed. 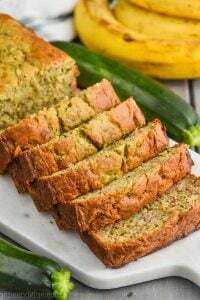 Allow the cake to cool out of the oven about five minute before poking holes with the bottom of a wooden spoon or spatula throughout the cake. Pour the sweetened condensed milk over the cake, making sure at least a little goes in each hole. 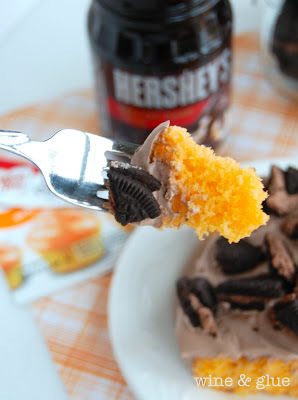 Thaw the Cool Whip in the refrigerator, and once you are ready to top the cake, using a hand mixer, beat in the Hershey’s Special Dark topping until completely combined. Top the cake with the chocolate Cool Whip, and top with the broken up chocolate Oreos. Okay, this sweetened condensed milk thing… it’s a pretty crucial ingredient in many things delicious, no? I’m so sorry to hear that you lost your mother. And on the day that Gavin was born. How… huge. I’m glad that your mother is still such a big part of your thoughts. I’m sure that Gavin will still “know” his grandma, despite it not being in the traditional sense. And another bibliophile/lover of the library! Woot! Library for life, baby! I need to find a book club. I’m sure I’d love it. I have so many questions about you after reading that… is that completely totally creepy or what?! Ok Lisa, this may officially be the BEST POST EVER!! And (gasp!) not because of the food. Now wait, wait wait… I love the cake! I’m gonna make the cake (seriously, I am. 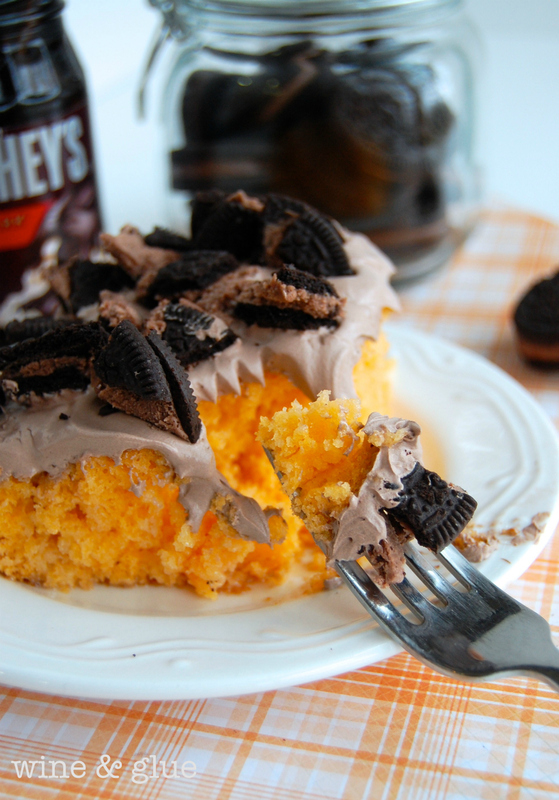 I love chocolate and orange. 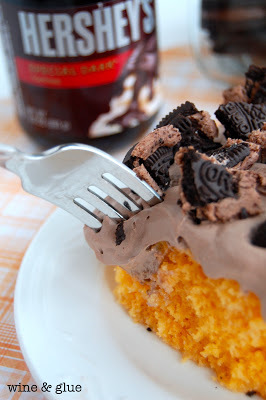 AND I’ve never made a poke cake so now I completely want to make this one.) But this is the coolest post ever because A) I just learned a ridiculous amount of information about you and I loved each and every one of them, all 27 🙂 And B) it’s just genius! What a creative post. Love it! Jif is my fave PB to bake with.I wrote a PB cookbook using it!! My feet are way bigger than yours. And my DREAM is to go to India. I have had a daily yoga practice for the past 15 years and it’s my total dream to go one day. You’ve been three times…how amazing! 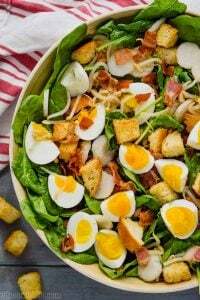 Thanks for linking up my recipes for the post you did for Nikki! 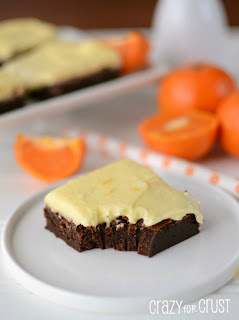 I absolutely love the flavors of orange and chocolate together! 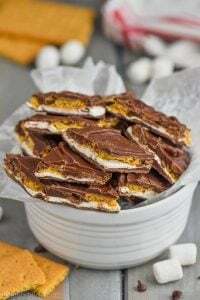 I always ask for those little chocolate oranges you can crack for my stocking 🙂 loving your poke cake recipe! Stopping by from the Frugal Girls!! Have been making this cake for years, except we call it Orange Pop Cake. 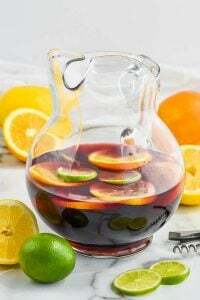 I substitute Orange Crush for the cold water in the gelatin. Kids love this cake and it is very moist. A definite keeper.